This is a small soft elk leather bag woven with goat hide. 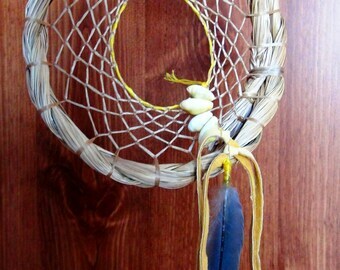 It measures about 4 inches wide by 4 inches deep. 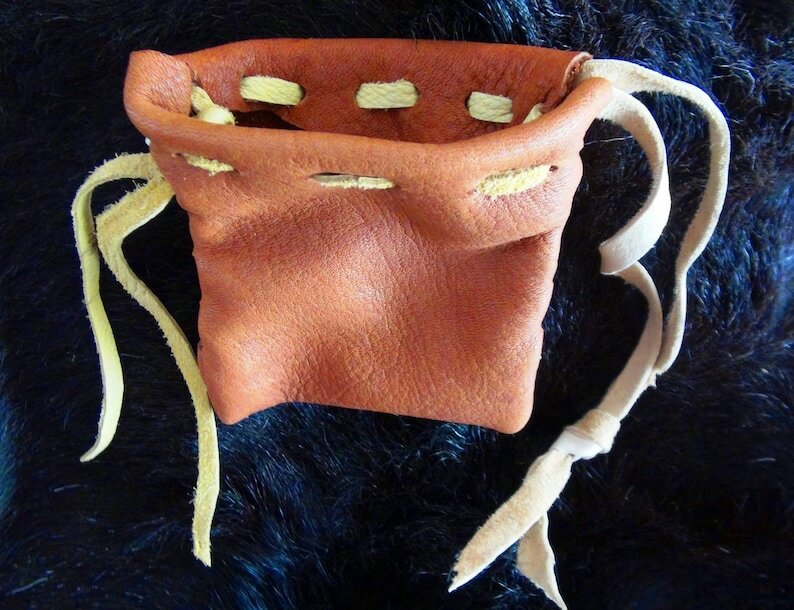 The pouch has a white tail deer leather strap woven through like a drawstring. 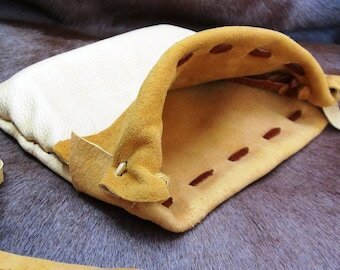 It contains nothing but pure smoked elk leather and white tail deer leather. The elk leather is smoked and a nice thick, heavy quality which makes a beautifully sturdy, showy and highly practical carry bag for all kinds of things! It is truly a bag that will last for years.